WASHINGTON (Sputnik) - The 15th anniversary of the beginning of the 2003 US invasion and occupation of Iraq is an occasion for mourning because the war led to rise of terrorists and Middle East destabilization, antiwar activist Cindy Sheehan, whose son Casey was killed during follow-up military operations, told Sputnik. "The destruction of Iraq has left a legacy of the rise of the Islamic State* and the consequence of further destabilization in the Middle East and Northern Africa," Sheehan said. She added that US-supported governments alienated most of the Sunni Muslim population of Iraq and left a continuing legacy of poverty. The invasion of Iraq in 2003 was only a further step in the United States' plan to destroy the country, Sheehan noted. "The first Gulf War under [President] George H.W. Bush, the sanctions and bombings under [President] Bill Clinton killed millions of Iraqis and further destroyed the country," Sheehan said. Far from posing a major threat to regional and global peace, as US apologists maintained, by the time of the second US invasion of Iraq in 2003, the country had already been impoverished and wrecked by many years of hostile US policies and interventions, Sheehan recalled. 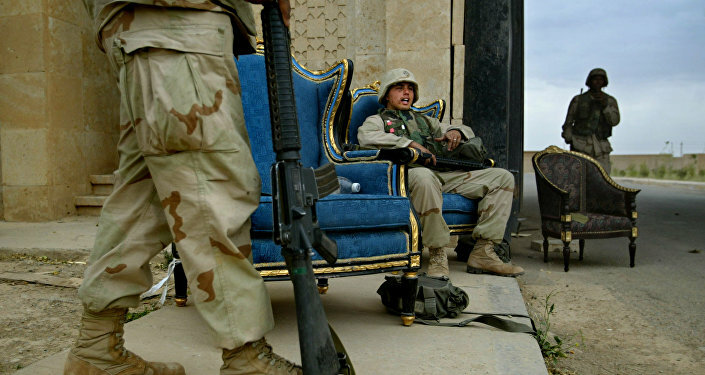 "By the time George W. [Bush] invaded, US troops were often met by bare-footed Iraqi soldiers," Sheean said. At every stage US excuses for intervention, military suppression and lasting occupation were carefully prepared in advance, Sheehan noted. "To call it [the 2003 war] a ‘mistake’ would also be highly inappropriate. The US war machine and its ‘coalition’ knew exactly what they were doing. The destruction of Iraq to seize the oil fields and enrich the war profiteers was highly successful," Sheehan said. 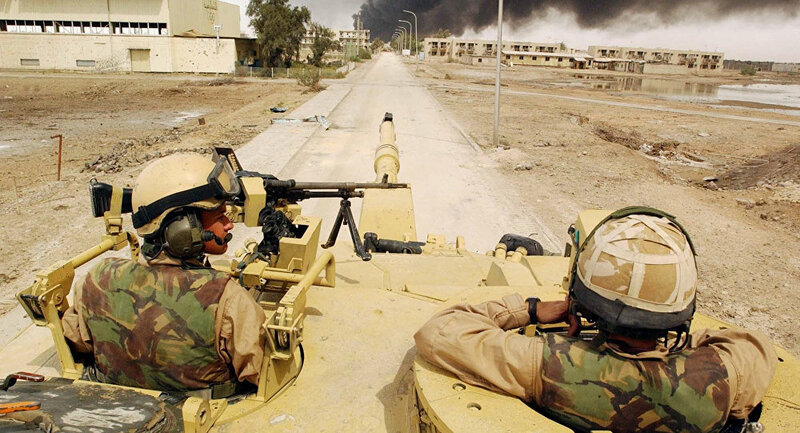 The consequences of the 2003 war for today are a "horrid legacy of poverty and disease" for the people of Iraq, Sheehan pointed out. "Depleted uranium and poisoned water and crops are still killing the people there and the United States is still occupying the country despite the fraud of [then-President Barack] Obama ending the war in 2009," she said. Cindy Sheehan’s son, US Army Specialist Casey Sheehan, was killed during a mission to rescue fellow US troops in 2004, and was decorated with a Purple Heart and Bronze Star for his actions. His loss prompted his mother to become an anti-war activist. *Daesh, also known as IS, ISIL or ISIS, terror group outlawed in Russia and many other countries.